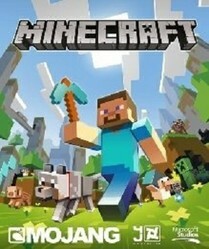 Minecraft games are an expanding genre but with so many games like Minecraft out there it's very difficult to choose one, as someone who loves the sandbox genre I've spent plenty of hours building, crafting and fighting my way through the games in this category and I'd love to share some of my favourite Minecraft games with you. My requirement for a game to be included on this page was that the game must have sandbox elements, involve crafting, enemies and it has to have kept me playing for at least 100 hours. There aren't many modern games out there that can hold your attention for over 100 hours, so which ones were the lucky Minecraft games? Sandbox Elements (Creativity to do as you please in the way that you want). Crafting (Collect resources and create equipment or materials with them). Enemies (A game without threats isn't fun to me). Over 100 Hours Played (If I still love it after this long it's equivalent to Minecraft). To put it simply Starbound plays very much like Terraria except that it expands your experience into space. Instead of laying claim to only a single planet during your adventure players will have the option to get into their ship and visit other planets. Everything is randomly generated so it's extremely easy to jump into a hostile planet, a friendly planet or something with little to no life at all. With procedural generation at the heart of this experience all of these planets will also visually look different that gives you a real sense of exploring a galaxy. You'll run into different terrain, weather, animals, gravity and even resources. Gameplay has you starting out with next to nothing after you've fled your planet for an unknown reason. Upon adventuring down to the surface you'll have to gather resources, combat any attackers and eventually craft powerful equipment to help you survive. The direction you take is fairly open to the player though, do you want to mine? farm? hunt? You can pursue your own adventure and aren't limited to a single path. Exploring a universe is no fun by yourself though and the game offers plenty of opportunities to explore with friends. I definitely recommend convincing a friend to play with over 80% of my game time definitely being enjoyed with a partner rather than solo. In terms of Minecraft games, right now (and for me) Starbound trumps them all. I love eerie and quirky games I just don't think that there are enough of them around the place. Don't Starve definitely falls under this category with a bizarre art direction and even crazier world to explore. The game has been around since the early part of 2013 and I still play a game of Don't Starve every other week despite having already invested nearly 200 hours into it. The game isn't a straight sandbox experience and leans more into the survival genre with a focus on lasting as long as possible in a randomly generated and creepy game world. Upon death players will have to start from the very beginning in a fresh game (roguelike). In Don't Starve you'll take control of Wilson (although other characters do become available at later points) to battle health, hunger and insanity. Stalking the world are plenty of strange supernatural creatures that are ready to kill you directly or drive you mad. The game makes use of a day/night cycle similar to Minecraft (and the many games that came after it) where players are mostly safe during the day time but once night hits it's best to light a fire and stay put. In addition to the sandbox roguelike mode you can get some extra hours out of an adventure mode where you'll have the very wacky and quite possibly insane antagonist of Maxwell to deal with. Don't Starve really captures that sense of fear and hopelessness that I had the first time I played Minecraft by throwing you into a world with little direction while challenging you to survive. The only let down for most people of this amazing game is the lack of multiplayer (although I find this enhances the experience and atmosphere). If I had to pick two games to play forever it would probably be Minecraft and Dwarf Fortress, it's this reason that I got really attracted to Craft The World, a game that blends both games into one. After purchasing the game on Steam ($15 during Early Access) I spent an entire weekend playing the game and quickly found myself in double digit and soon after triple digit hours. Don't be fooled by the Early Access on the store page either, the game is fully complete in my eyes apart from missing some of the later level options and one or two small AI issues this is a finished gaming experience. To start your adventure you'll have to either select one of the game levels or generate your own random game world. With a huge list of options in the sandbox game mode you can generate a world to your liking which gives you particularly good control over the games difficultly so that you can start with easy terrains and work your way up. Once you're happy with your game world (I like to roll mine a few times because I'm fussy) you'll be given the task of creating a thriving settlement of dwarves. In order to advance their technology and your population you'll need to gather materials, craft items and fight a variety of enemies. Right from the start you can see the entire game surface but there are plenty of hidden dangers awaiting you in the depths that you'll have to explore for yourself which is where much of your exploration efforts will be focused on. Aside from exploration you'll also need to make a suitable home for your dwarves and even keep them properly equipped to stop them dying from the dangers that await them. My favourite aspect of the game is the tech tree, it is absolutely huge and making your way through it from start to end is probably a 100 hour experience in itself. With so many different paths to take you'll have to decide if you want your dwarves to be well feed, armed to teeth, safe in their home or have better resource gathering technology, it is always a trade off. Craft The World is one of those Minecraft games that capitalises on the new sandbox and survival trend but takes the gameplay in an entirely different direction and for that I love it. So those are my top 3 Minecraft games that I've played for over 100 hours, do you have your own favourites in this genre? Are the games here new to you or do you have any experience with them? Let me know below! If you're gaming budget is a little tight right now then don't fret! There are still plenty of free games in this genre for you as well. Did you know you can play Angry Birds on your smartphone as well as your computer online? Angry Birds is the latest and craziest online game to aim and destroy the evil green pigs.